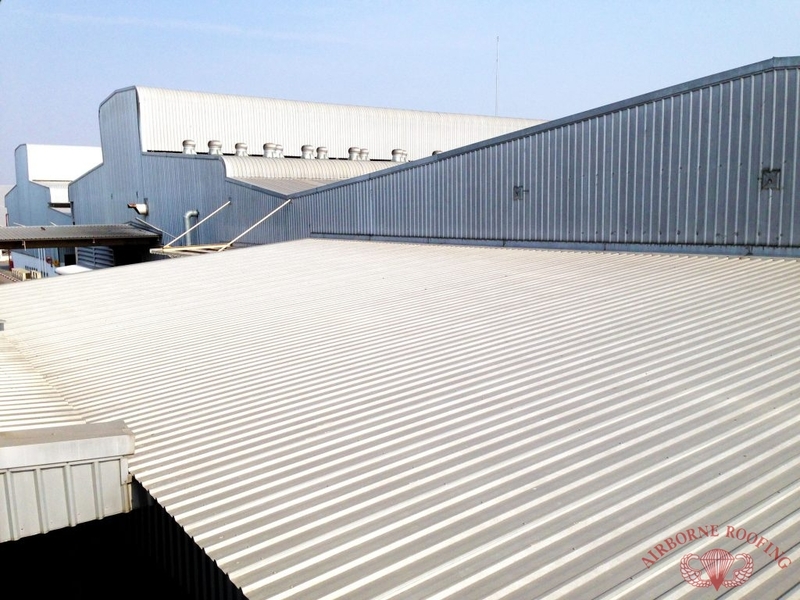 Our Commercial Roofing Services Can Fit Any Commercial Roof. Commercial roofs are vital for any business – without a properly installed and functional roof, your building is susceptible to damage from leaks and mold. With quality maintenance and inspections from Airborne, any damages you see internal or external will be dealt with promptly and with professional service from our licensed roofers. Is your commercial roof in need of a re-coating or a roof repair? Contact us (856) 662-1382 for a full list of our commercial roofing services at Airborne Roofing in Berlin and Cherry Hill, NJ. Flat Roof Repairs Most commercial spaces have a flat roof, and overtime ponding water and debris can cause cracks within. 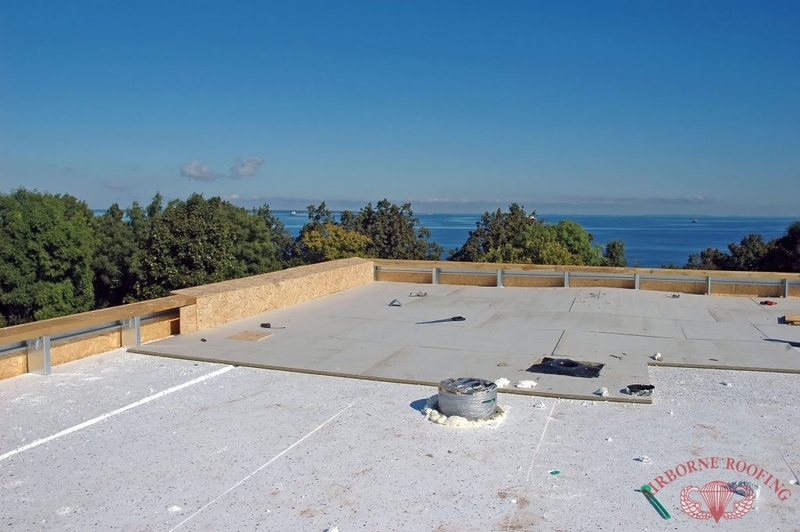 A flat roof repair gives commercial and residential spaces a working, sustainable flat roof. Built-Up Roofing Alternating layers of bitumen and reinforced layers to create the membrane and “built up” on top of each layer. A built up roof can be customized based on thickness and the types of materials used. Modified Bitumen Additive properties such as plastic or rubber, are included in the manufacturing to create a two-ply membrane. the two-layer membrane in a modified roof makes for quick installation. Single-Ply Membranes Either a thermoset or thermoplastic single membrane roof that have several methods of installation. Single-ply membranes are ideal for a new homeowner and has high flexibility. Fibered Aluminum Coatings Aluminum-based coating that has a highly reflective, shiny coating built to insulate and reflect UV rays. With a relatively short lifespan, this type of coating can easily be re-applied in 5-7 years. For The Best In Built Up Roofing Services, Trust Airborne Roofing For All Your Commercial Needs. If you didn’t see the commercial roofing service you need on our list, just give us a call! We will help you determine which services your roof requires. Contact us (856) 662-1382 for installation or repairs for your commercial roofing in Berlin and Cherry Hill, NJ. Do not let your commercial building’s roof fall into disrepair, it’s important to get any and all repairs and services completed to ensure your building lasts. Contact us (856) 662-1382 for our commercial roofing services at Airborne Roofing in Berlin and Cherry Hill, NJ. Always affordable and fully licensed, we’ve been serving South Jersey since 1968! Updated on September 21, 2018 at 2:33 pm by Airborne Roofing.